Swiss banking giant Credit Suisse has finalised its new global legal panel, with four firms winning places on the roster. Ashurst, Allen & Overy, Linklaters and Latham & Watkins have all been appointed to the line-up, which replaces its EMEA and UK panels. In addition to the global panel, which is expected to handle the bulk of the bank’s work, Credit Suisse has also appointed a number of firms to sub-panels covering practices such as employment, litigation, M&A and securities work. It also has a separate panel for Switzerland, and countries in Asia where it may require specific local expertise. 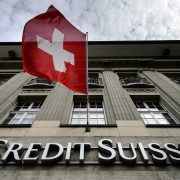 Credit Suisse’s Zurich-based corporate general counsel Julian Gooding led the review, with the global panel expected to run for two to three years. The move to a global panel structure is in line with wider organisational changes at Credit Suisse, with the bank moving away from regional divisions in 2016. The bank’s review had been delayed by several months, with firms initially hoping to have heard if they had been successful in August last year. Confirmation of Credit Suisse’s panel comes after fellow banks Societe Generale and Santander recently completed their international legal panels. Societe Generale appointed DLA Piper, Norton Rose Fulbright and Mayer Brown among its ‘preferred’ advisers. The French bank’s panel comprises 12 full-service firms – split into eight ‘preferred’ firms and four ‘selected’ firms – alongside six others appointed specifically to handle large litigation and tax advice. Santander, meanwhile, has agreed terms with 46 firms, understood to include global firms DLA Piper, Baker McKenzie and Dentons, and US firms including Latham & Watkins and Cleary Gottlieb Steen & Hamilton. Jones Day has been named the strongest law firm brand in the United States for the second year running. 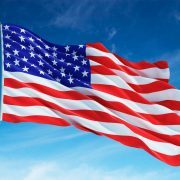 According to the Acritas US Law Firm Brand Index 2018, Jones Day extended its lead in the table, while second place Skadden strengthened its brand over the past year. Bubbling below the surface, though, is the rising threat to traditional law firms from alternative legal service brands. Acritas’ index is derived from more than 600 interviews, conducted with respondents in $1 billion+ revenue organizations who have senior responsibility for buying legal services. It also includes the views of a 176 non-US-based senior counsel who were asked which firms they used for their US-based legal needs. Perhaps unsurprisingly, the key trend to emerge this year was of intensifying competition amongst law firm brands, with almost the entire top ten strengthening year on year. As with the global index, published last year, the majority of the firms in the top 20 boast a significant level of trademark expertise – 16 are ranked for their trademark services in the US chapters of the latest edition of the World Trademark Review 1000 – The World’s Leading Trademark Professionals. Of the remainder, K&L Gates were ranked in Australia, while Wachtell, Lipton, Rosen & Katz, Sullivan & Cromwell and Ogletree Deakins do not feature in the current edition. As we argued previously, for those in the trademark space, the need for strong brand equity and recognition is particularly acute, and not just with respect to demonstrating to clients a deep understanding of the nuances of trademark law. On the flip side, where firms offering brand-related counselling find themselves embroiled in disputes centred on their own identity, this inevitably gets picked up in the media and can result in reputational challenges. As a reminder, Axiom offers lower-cost outsourced legal services. In the trademark space, new models have most commonly appeared in the form of low-cost online-based filing portals, which have come under fire from law firm practitioners cautioning over the commoditisation of trademark work. As we have reported on in detail, new outfits – many with their own dedicated trademark practices – have also entered the market to capitalise on practitioners’ growing dissatisfaction with the traditional law firm structure. Whether through the virtual or subscription-based law firm, an on-demand model or a gamified approach, disruptive innovation is throwing up new ways of doing (legal) business. While strong, resilient legal brands will help traditional firms maintain market share in the immediate term, there is clearly a need to react to changing client needs and ensure that new technologies are properly harnessed in a bid to stave off new competitors.